Lutheran Mission Association is a 501(c)3 non-profit organization. Email us at webservant@lmamnn.org. Contents of this website are (c)2010-2016 Lutheran Mission Association or are used by permission as noted. 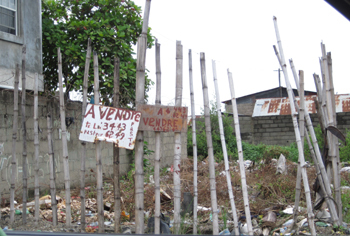 Gloria Dei is located in a very poor section of Cap-Haitien. 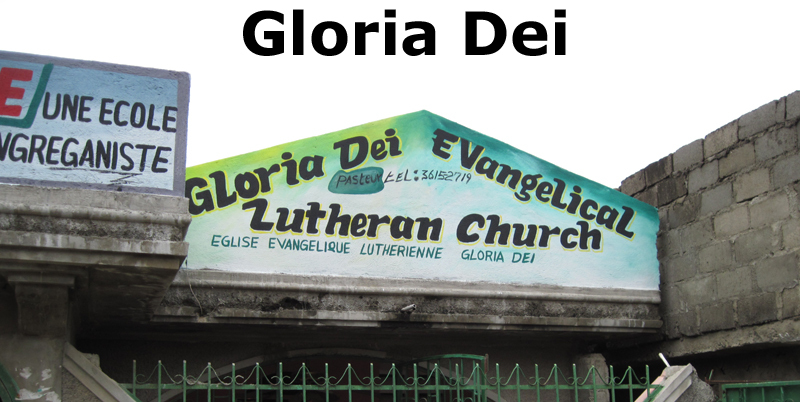 (We have sometimes referred to Gloria Dei as 'the airport' church and school, because it is located near the airport.) The congregation and school currently meet in a rented building. Because Gloria Dei is located in a rough part of Cap-Haitien, security is of the utmost importance for parishioners and students. Located about five miles from Madeline, LMA helped to purchase an undeveloped property for Gloria Dei. This property has a drilled well with a pump, and the entire neighborhood uses the "slightly salty" water in limited ways. Some time ago, a foundation was laid on this property; however, it was compromised by the weather. It was determined that a standard foundation could not be used, but a pad for the entire property had to be used as a foundation to prevent the building from sinking and to give it a good solid footing. Consequently, the finished building will likely be more expensive than planned. The Minnesota North District LWML has approved a grant request of $20,000 for Gloria Dei's building project. An individual family also donated $20,000 toward the building. 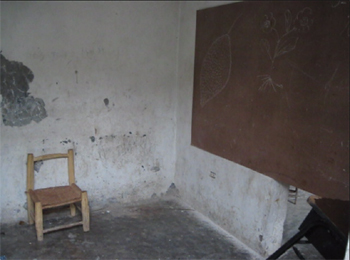 The plan is for 8 classrooms, a kitchen, bathrooms, and an office, plus a sanctuary. If anyone is interested in the building, please e-mail l.spilde@aol.com for a copy of the tentative plans. Gloria Dei is served by Pastor Jerome Papito, who had previously served the congregation as a student (somewhat comparable to a vicar) but is now an ordained pastor. About eighty-five people attend the Sunday Service. There are eighty-five students at Gloria Dei's school and twelve workers: Teachers, an administrator, helpers, and cooks. Regarding the students at Gloria Dei, it was reported to LMA that the students learn from the Bible each day and that the older students are given their own Bibles. They also use the Small Catechism in their study. What can you do to help Gloria Dei? Efforts are underway to raise funds for a building for the Gloria Dei congregation. Download the pdf informational sheet for more information.